Jessie Bartlett married John H. Hubbard, son of Henry S. Hubbard and Mary Elizabeth Houghton, in Sep 5, 1908. 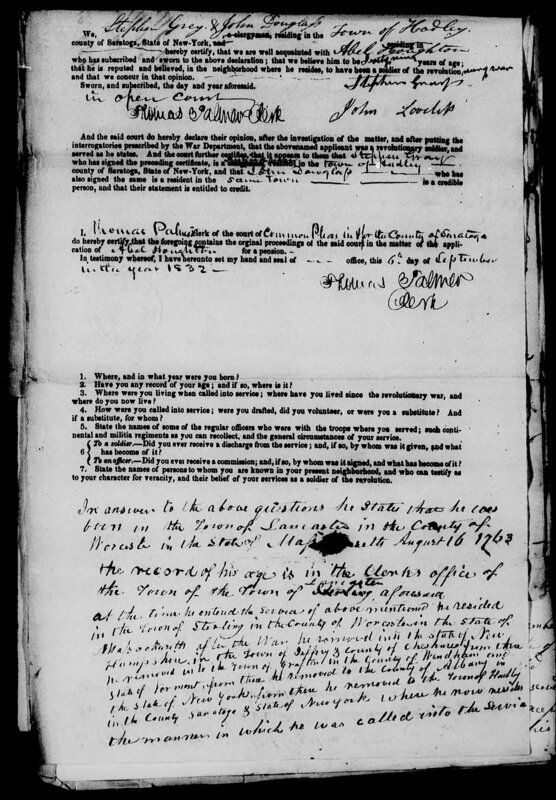 Abel Houghton married Relief Dole, daughter of Benjamin Dole and Relief Thompson, in Apr 1, 1790 at Jaffrey, NH, USA, Rev. War Abstracts: "sol m relief "Lefe" Dole in 1792 according to town records of Jaffrey NH however wid stated she was m to sol on 1 Apr 1790 or 1 Apr 1791 (all 3 dates were shown)..."; Jaffrey Hx: Lotta Dole m. Sept. 14, 1792 a Mr. Houghton; her sister Hymun Burgess attended. 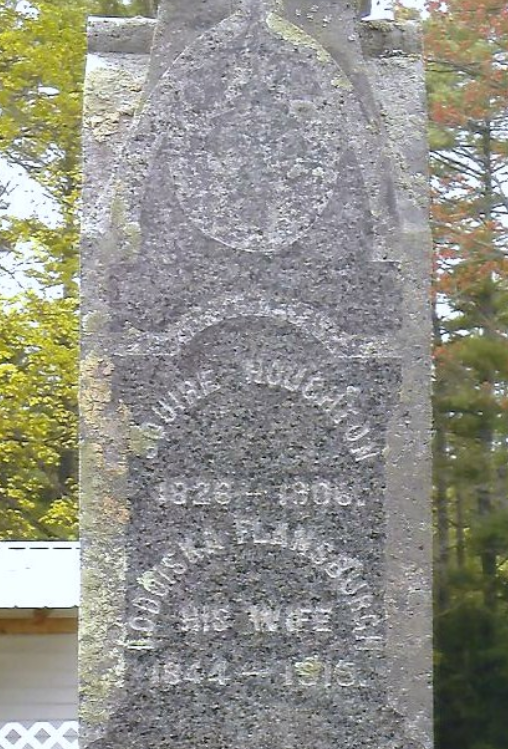 Relief Dole married Abel Houghton, son of James Houghton Jr. and Anna Eveleth, in Apr 1, 1790 at Jaffrey, NH, USA, Rev. War Abstracts: "sol m relief "Lefe" Dole in 1792 according to town records of Jaffrey NH however wid stated she was m to sol on 1 Apr 1790 or 1 Apr 1791 (all 3 dates were shown)..."; Jaffrey Hx: Lotta Dole m. Sept. 14, 1792 a Mr. Houghton; her sister Hymun Burgess attended. 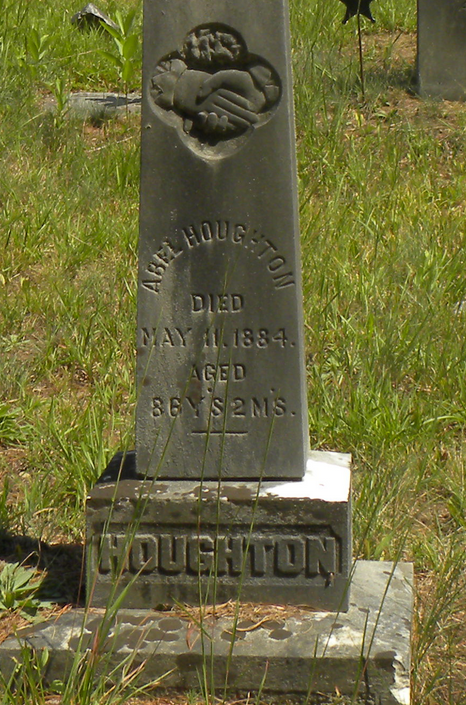 Aaron Houghton married Polly Shippie. 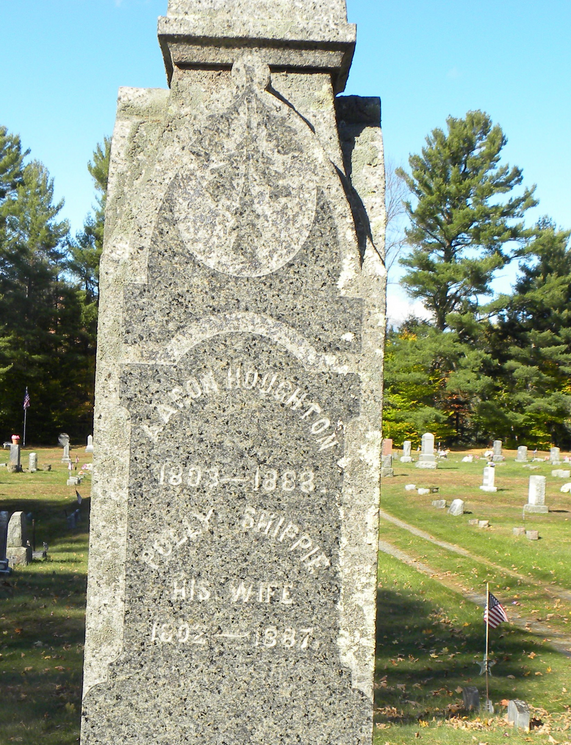 Aaron Houghton and Polly Shippie were divorced per 1880 census. Caroline S. Houghton married William Milburn. Squire Houghton married Emergene Sutliff. Squire Houghton married Lodoiska Flansburgh in circa 1878 mar 22 years in 1900 census. Silas Edwin Houghton married Malinda Ann Clothier in Feb 1, 1860. Malinda Ann Clothier married Silas Edwin Houghton, son of Aaron Houghton and Polly Shippie, in Feb 1, 1860. Lagona Darius Houghton married Eliza N. Munn, daughter of Orin B. Munn and Alice F. (? ), in Jan 10, 1906 age 44. Silas Roscoe Houghton married Mrs. Lizzie Patton in Jan 22, 1902 mar 8 y in 1910 census; her 2nd. Jay Clothier Houghton married Sarah Jane Cummings in Jan 29, 1904 mar 6 y in 1910 census. Eliza N. Munn married Lagona Darius Houghton, son of Silas Edwin Houghton and Malinda Ann Clothier, in Jan 10, 1906 age 44. Stewart Waldo Houghton married Gertrude Deering in circa 1934 for 65 years. Mrs. Lizzie Patton married Silas Roscoe Houghton, son of Silas Edwin Houghton and Malinda Ann Clothier, in Jan 22, 1902 mar 8 y in 1910 census; her 2nd. Silas Roscoe Houghton Jr married Phoebe Katherine Wake Garrell in circa 1927 at CA, USA, age 25 and 18, first marriage. Sarah Jane Cummings married Jay Clothier Houghton, son of Silas Edwin Houghton and Malinda Ann Clothier, in Jan 29, 1904 mar 6 y in 1910 census.